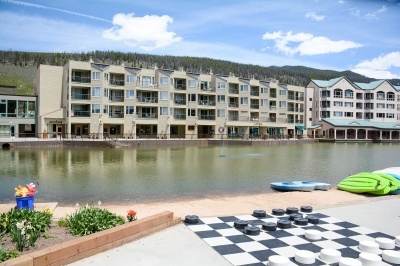 Centered around a large lake that reflects the usual blue skies of Keystone, the lake becomes one of the biggest natural ice skating rinks in Colorado in the winter. It's a stunning natural wonder that needs to be seen to be believed. 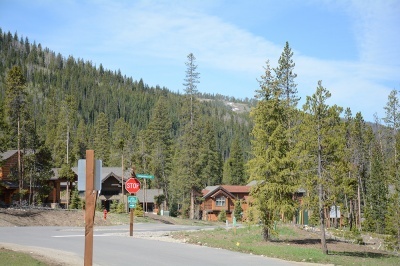 This neighborhood is centered around Keystone Resort's main lodging and conference center and serves as a welcome point for many visitors to Keystone. We encourage you to contact us with any questions, or read on to learn more about Lakeside Village. 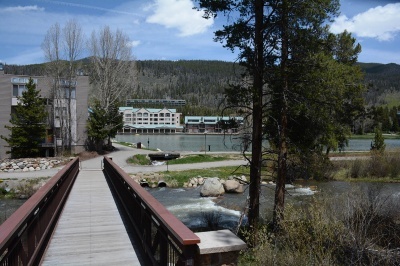 Lakeside Neighborhood has several shops and restaurants and a variety of lodging types that appeal to home buyers looking for convenience and a year-round, day and night recreation experience. 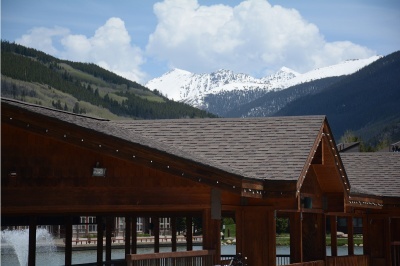 Ski access is easy with the resort shuttle, which originates from this area, although it is possible to ski along trails and footbridge to reach Mountain House. Nighclubs like the Goat and Snake River Saloon are a walkable distance, and more commerce is right on site in Lakeside. The countywide bikepath runs right along the village. Interested in learning more? Take a moment to contact Breckenridge Associates online or call (800) 774-7970 or (970) 453-2200 to reach a qualified, local real estate agent.